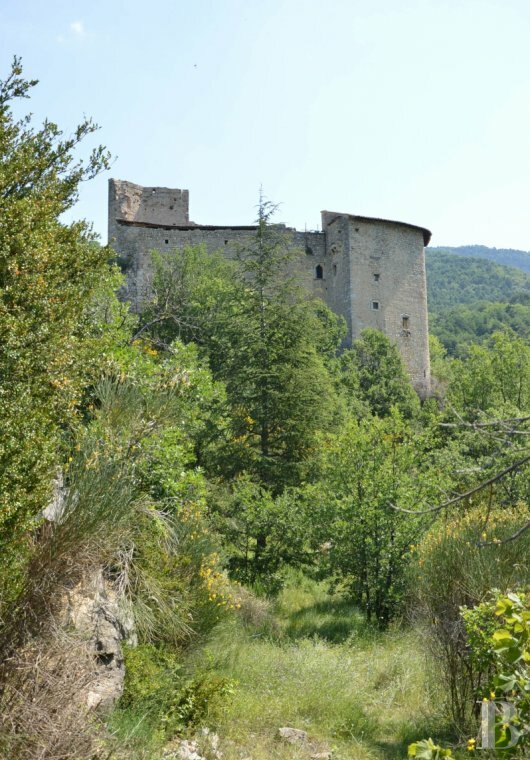 This castle stands on the outskirts of a small village in the south-east of France in the midst of the Baronnies mountains. Spanning the boundaries of the two French departments of Drôme and Hautes-Alpes, where the alpine and Provencal influences meet, the Baronnies Regional Nature Park features rugged middle-mountain relief with a Mediterranean climate. This unspoilt countryside, far from the main roads, is dominated by nature with its exceptional flora and fauna, 2,000 species of plants and 203 species of protected animals. 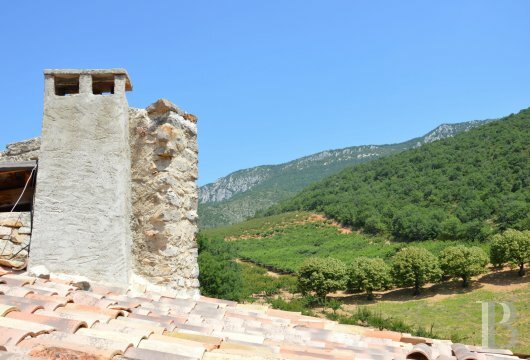 Villages perched on the edge of the gorges, dry stone man-made terraces as well as limestone mountains dotted with lavender fields and orchards: all featured in the landscapes surrounding this property! 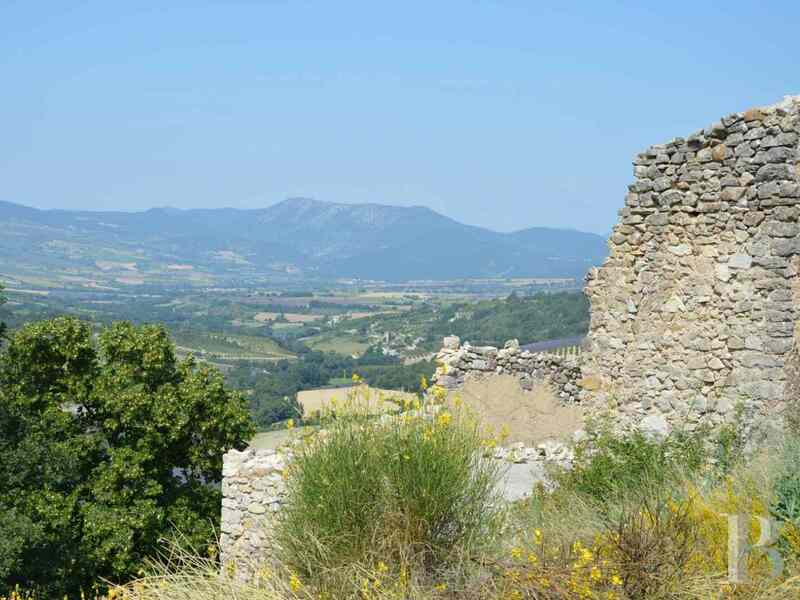 It is less than 30 minutes from Nyons and Buis-les-Baronnies and an hour from the A7 motorway. Orange and Montélimar are less than 90 minutes away. Marseille international airport is two hours away. 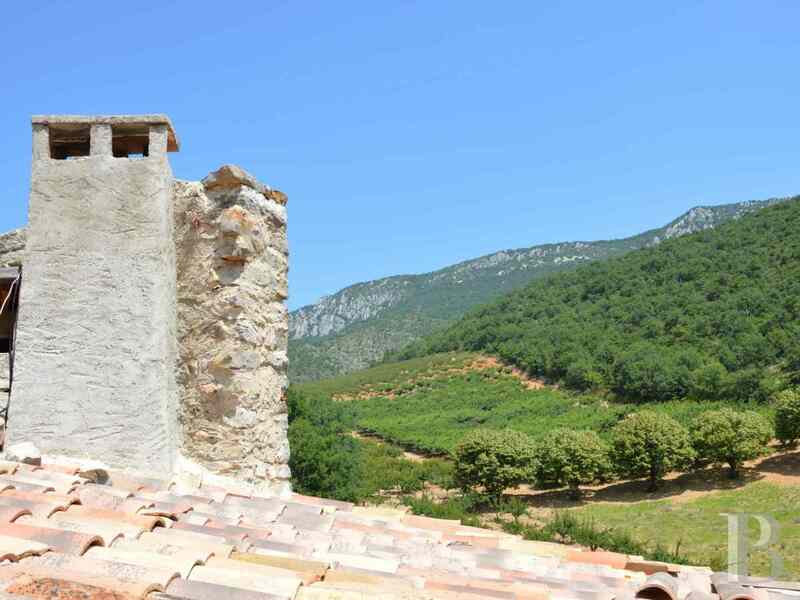 This property extends over a little less than 1½ hectares on the outskirts of a little village. 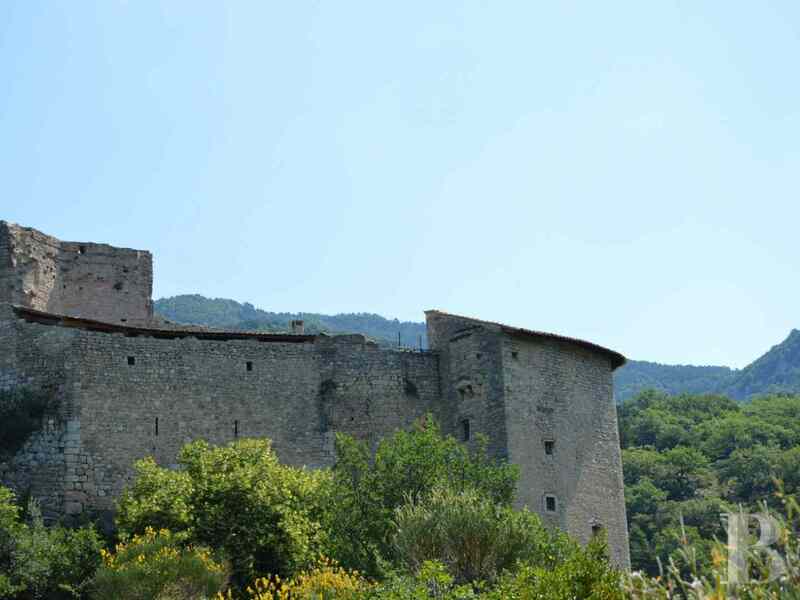 It comprises a castle, the ruins of an old tower and those of a building once used as an outbuilding. 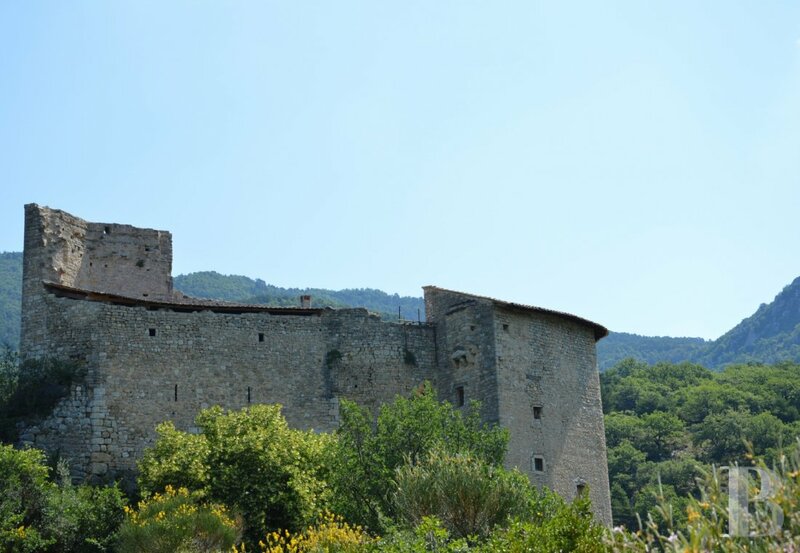 A former fiefdom belonging to the barons of Montauban, this powerful-looking, stone, feudal castle stands with its enlarged keep and its walls featuring loopholes and Renaissance style windows. 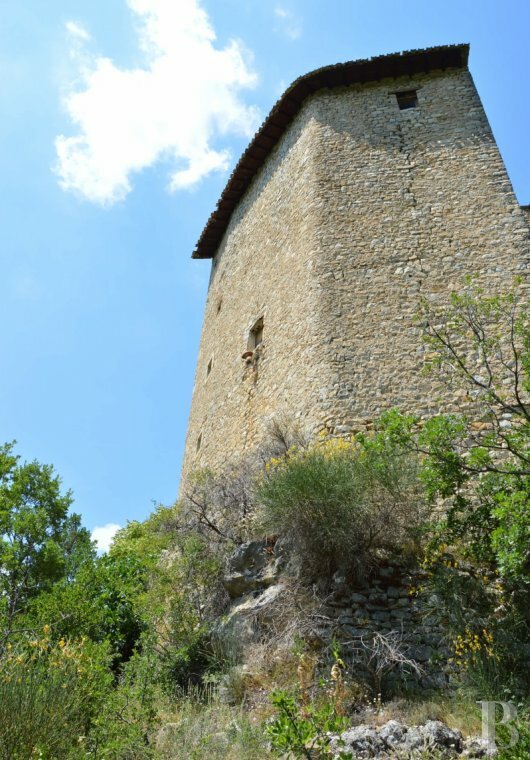 This tall building dates from the 13th century and dominates the valley, giving it a 360° view. 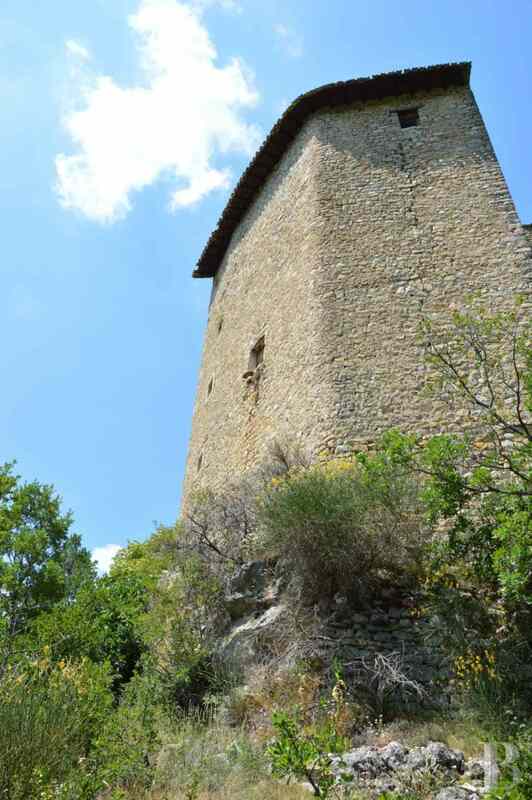 It once featured battlemented towers. It was added to the French historic monument list by order on 7 May 1982. This stone castle spans four levels. Its defensive facades feature loopholes and Renaissance style windows. The main building is connected to the keep. 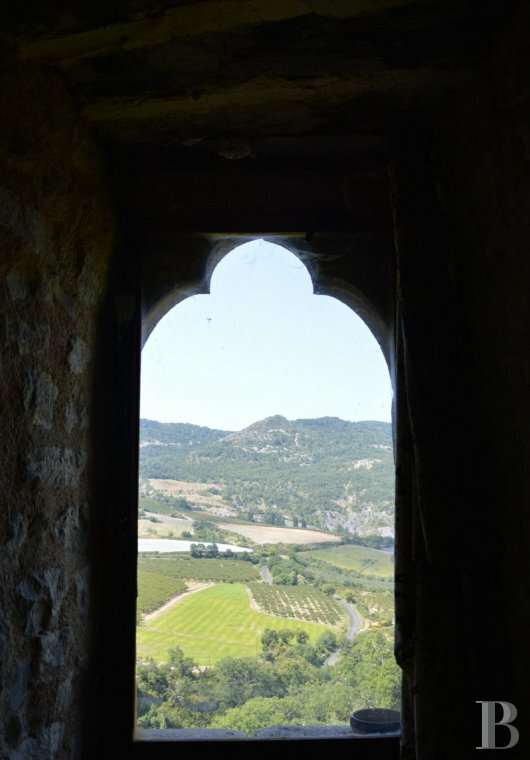 The heavy wooden door providing entrance to the castle is topped with a stone brattice. 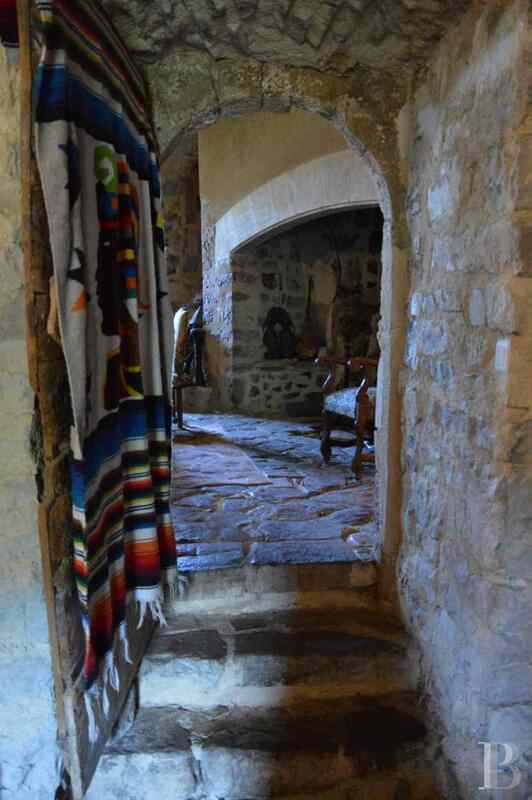 The wooden door opens into a vestibule, paved with flagstones. Highly characteristic of the medieval era, the stone vaults in the two ground floor rooms are high and are illuminated by small windows acting like light wells. The vestibule houses a spiral stairway that provides access to the upper floors. A wooden door opens into a dining room that communicates with a kitchen and a small lounge. The dining room is heated via a large stone fireplace. 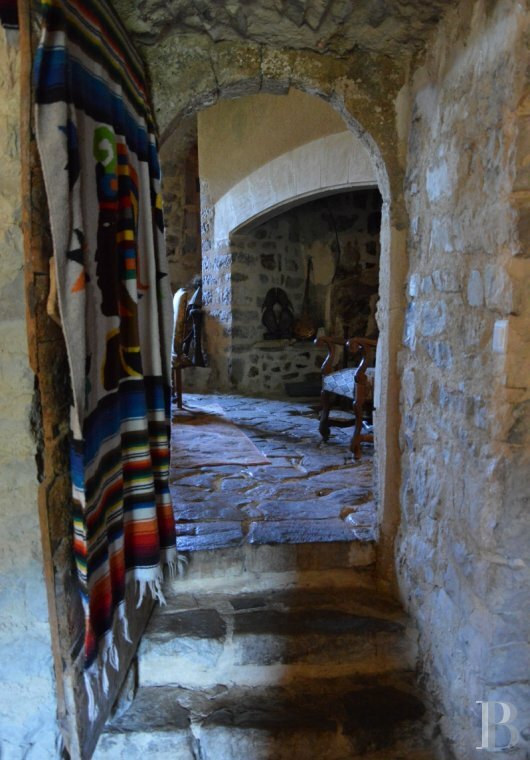 The floor is paved with flagstones that go with the white, vaulted ceiling. 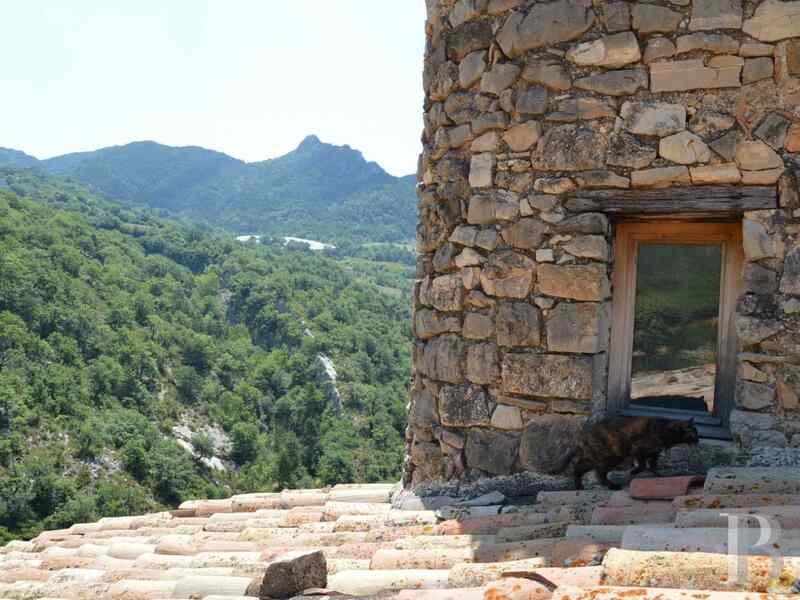 A door, near the fireplace, leads to a terrace which appears to be suspended on the walls. An arched passageway and a few steps lead to the kitchen, housed under a high narrow, stone vault, adjoining the dining room. 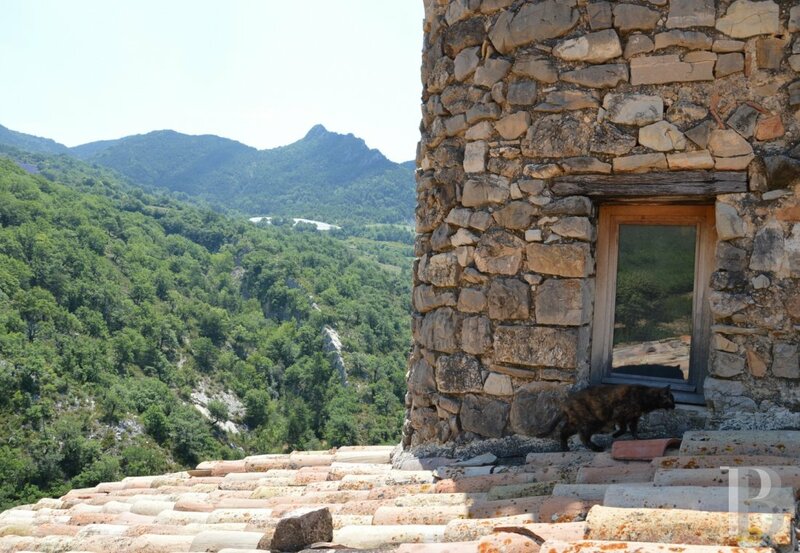 The floor is covered with terracotta tiles and a window looks out over a panoramic view that stretches for as far as the eye can see. 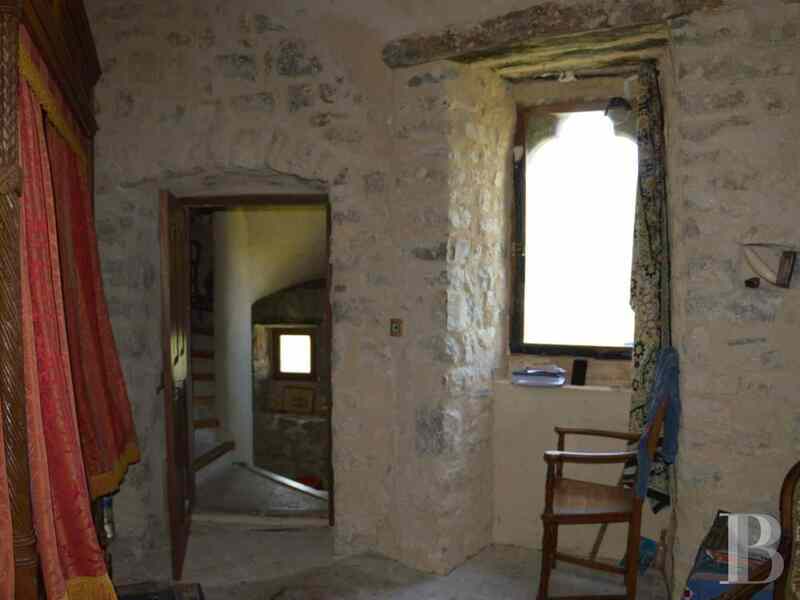 The dining room also provides access to a small lounge, via a few stone steps. This room, with its terracotta floor tiles, exudes a welcoming atmosphere. 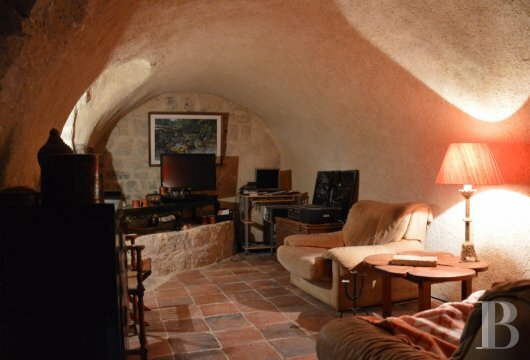 The vaulted ceiling is lime-rendered. A spiral stairway also leads to another lounge, laid out to the south of the keep. 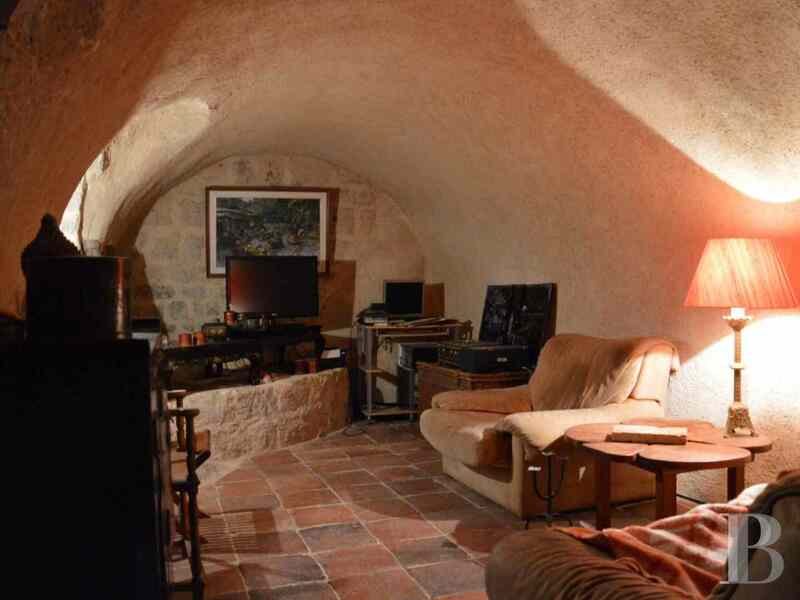 This cosy room features an outstanding vaulted, stone ceiling and windows displaying vast landscapes. The stairway continues to the upper floors. The second floor comprises two large bedrooms, each with its own bathroom. One of them is enhanced with a vaulted stone arch and a monumental, stone fireplace, taking up a wall. A passageway communicates with the main building, awaiting restoration on this level. The other bedroom is spacious and has a ceiling featuring exposed beams. This top floor houses a bedroom and a sun-trap terrace. The 360°, unobstructed view is absolutely stunning. This level of the main building awaits restoration works which would significantly increase the living space. Not far from the castle stand the ruins of an old square tower. This could be rehabilitated and converted into a self-contained dwelling. 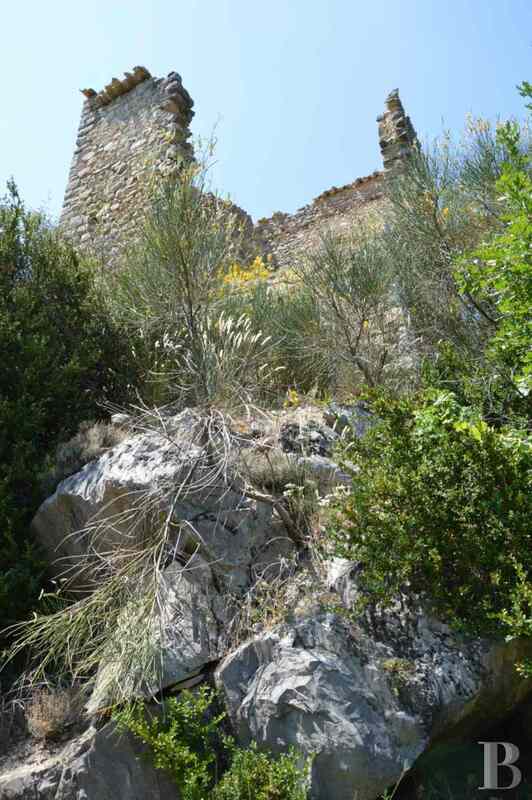 Another ruin, standing at the entrance to the property, has been consolidated on the garden level. A concrete screed has been laid and this outbuilding is currently used as garages. 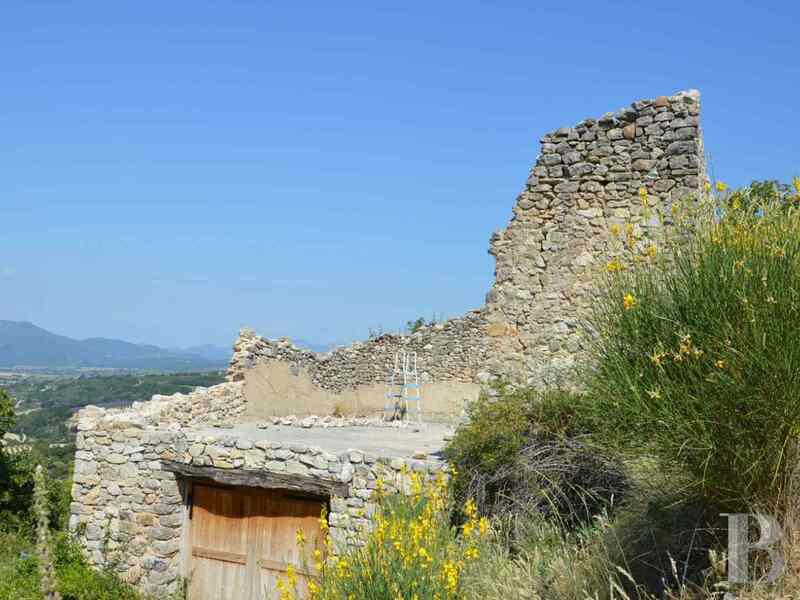 Completely built of stone, it could also become a large independent dwelling. 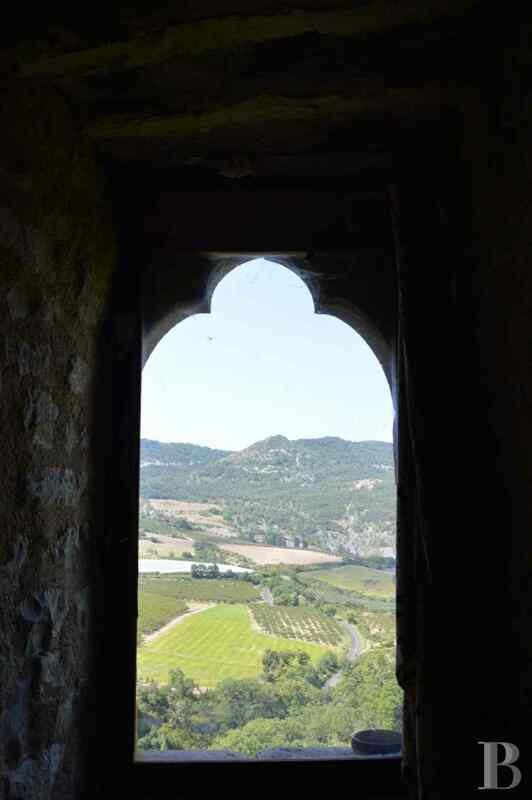 The gothic or Renaissance style windows resemble a multitude of paintings featuring a landscape with a thousand nuances that stretches all around the building. Far from being austere, the vaults in the rooms appear to have been given the mission of protecting the cosy atmosphere of the inside. 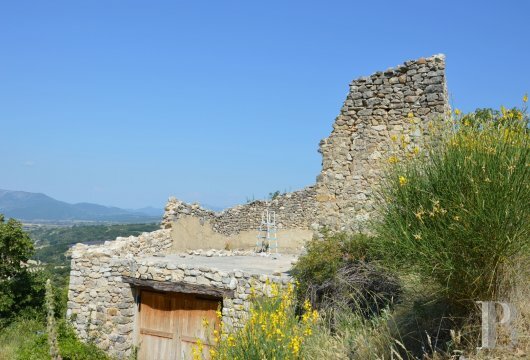 And that is just the beginning: many spaces within the feudal castle walls still await renovation. 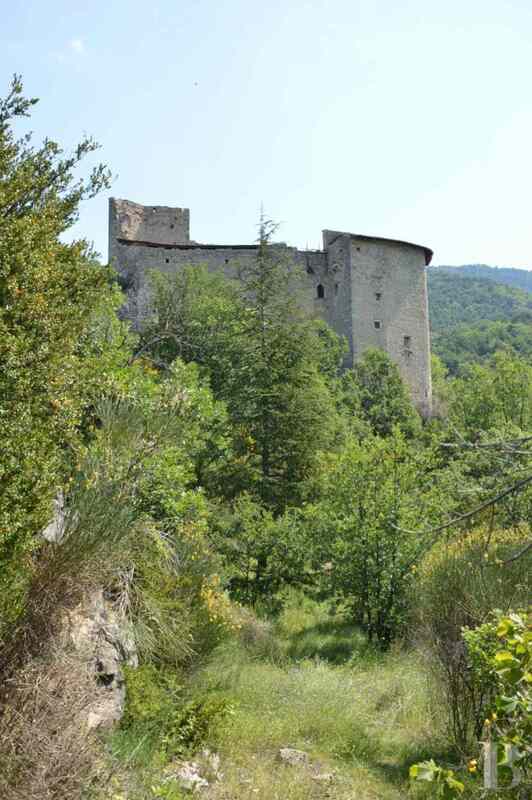 There are not many like this one in the Baronnies Regional Nature Park, between the Alps and Provence, which exudes a magical atmosphere in and around it.